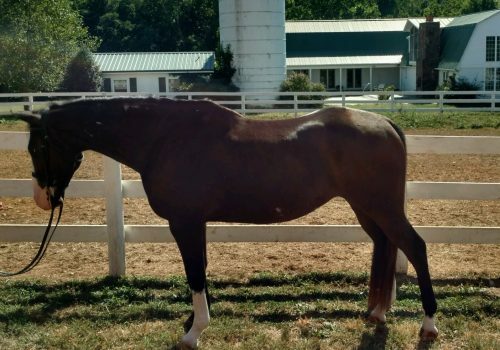 Journey is a 4 year old, Paint/TB/Draft cross. He is green, but has a great mind and temperament. He already has established flatwork, lead changes, and has been started over small jumps. He is great on the trails as well as in the ring.